Science is catching up with our youthful aspirations. How? One word: HydroPeptide. Want to see and feel your complexion go back in time? Look no further than with this power couple of beauty products we think is quite revolutionary. It's hope in a bottle. With the right products, perfect, healthy skincare can be yours now. Reclaim tighter, brighter and firmer skin with HydroPeptide’s Power Serum’s blend of lifting peptides, growth factors and alpha lipoic acid. Then, Hydropeptide’s Power Lift features four categories of potent moisturizers and double action firming peptides to drench your complexion with the hydration it craves while restoring and maintaining a lifted and forever young look. For men and women, these products are making the world more youthful, one face at a time. 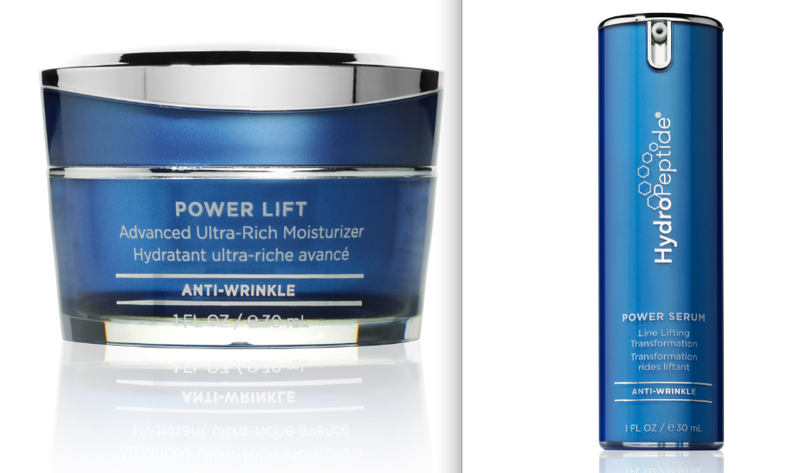 HydroPeptide Power Serum: Line Lifting Transformation ($136/ 1.0 ounce) and Power Lift: Advanced Ultra-Rich Moisturizer ($96/ 1.0 ounce) are available in the world’s most prestigious spas and dermatological clinics including nearby Lake Austin Spa Resort and Spa Django at Hyatt Regency Lost Pines Resort. Online retailers include HydroPeptide.com, NordstromSpa.com, Skinstore.com and Dermstore.com.